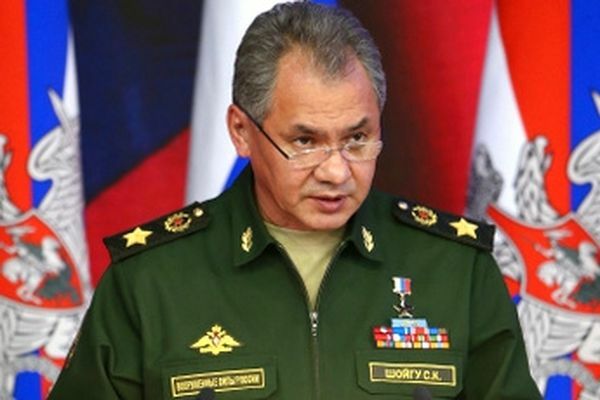 The Minister of defence of Russia Sergey Shoigu reported on the results of three years operation in Syria; the long-range 40N6 missile system s-400 entered service; in tank armies ZVO modern means of satellite communication "SNARK" and "Rook"; military communications system that allows 2-3 times faster to manage the troops; in Iran announced the creation of anti-ship ballistic missiles; China will begin mass production of the helicopter "Black tornado"; the merger of air force and air defense of the Eastern military district in Khabarovsk Krai supplied anti-aircraft missile system s-400; videoconferencing will put a set of regimental s-400 and several sets of zrpk "Shell-C"; aviation of the CVO were armed for defense procurement of two multi-purpose fighter su-34, Russia gave Mongolia military-technical equipment of more than $ 13 million. About these and other events, monitoring the media for week 15. 10. 21. 10. 2018. For three years of participation of the Russian troops in the fighting in Syria with its support completely defeated the gangs of ISIS (banned in Russia as a terrorist organization - if), said the Russian defense Minister Sergei Shoigu. "During the operation killed more than 87500 militants released 1411 settlements and more than 95% of the territory of Syria," - said Shoigu, speaking at the Fifth meeting of defense Ministers of ASEAN and dialogue partners (the"SMPA plus"), noting that in Syria "liberated key towns and released basic communication". "Currently, the Syrian armed forces control the territory, with a population of more than 90% of the population," - said Shoigu. Also, the defense Minister said that in the fighting amazed about 122000 objects of the terrorists, eliminated most of the fighters. Russian engineers during the operations in Syria cleared the 6,500 hectares of the territory of the Republic, 1500 kilometers of roads, more than 19,000 buildings and structures. According to the UN, said Shoigu, almost 7 million people left Syria because of the war. "Now the situation in the country allows them to return to their homes. Russia makes a significant contribution to this process", - said the Minister. According to him, special attention is paid to the solution of humanitarian problems in Syria and the return of refugees to their homes. In particular, in Moscow operates the Interagency coordinating staff for the return of refugees, and in Damascus - the Center of reception, distribution and placement of refugees, Shoigu said, also informing colleagues that Syria created checkpoints of refugees from Lebanon and Jordan. "On 18 July this year they have already crossed around 17,000 people. Since the beginning of operations in the Syrian Arab Republic from abroad returned over 245000 of internally displaced persons. About 2 million Syrians have expressed a desire to return to the homeland from places of temporary residence abroad", - said Shoigu. 18 Oct. Syrian authorities have canceled "law number 10", providing for the confiscation of homes, land and other property of refugees and displaced persons. this was reported by the UN coordinator for emergency humanitarian aid, Jan Egeland. He stressed that this decision shows that "diplomacy can win in Syria." 18 Oct. Two American F-15 because of the incompetence dealt a blow to the formation of the Kurds in Syria, told RIA Novosti military-diplomatic source. According to him, the Kurds in the time of the air strike launched their offensive on the positions of ISIS. It was noted that the area of the settlement, Hagin the province of Deir ez-Zor continues an unsuccessful attack Kurdish forces on the terrorists with the support of the coalition forces led by the United States. 16 Oct. The su-27 crashed in the Vinnytsia region of Ukraine during a combat training flight. This was announced by the Ministry of defense of Ukraine. According to the revised data, the accident occurred with a double training-combat su-27UB. The fate of the pilots is currently unknown. According to media reports, the accident occurred during the international military exercise "clear sky – 2018". 19 Oct. Advanced intelligence center began to build in Ukraine, reported the press service of the Council of national security and defense of the country. According to authorities, a symbolic capsule in the Foundation of the new building was laid by the Secretary of security Council Alexander Turchinov. Russia will not allow the passage of NATO ships on exercise in the sea of Azov. This was stated by Russian foreign Minister Sergei Lavrov in an interview with RT France, Paris Match and Le Figaro. Translation of articles leads to "Interfax". "Now Ukraine wants to invite NATO exercises in the sea of Azov, but there will be impossible to go through because our agreement with Ukraine requires mutual consent for the passage of warships in the sea of Azov", — said the diplomat. According to the head of the Russian foreign Ministry, the actions of NATO near the Russian borders are provocative. The administration of Donald trump will notify the Russian Federation on withdrawal from the Contract on liquidation of rockets of average and small range (the INF Treaty) next week, reported the New York Times, citing U.S. officials and foreign diplomats. According to sources the newspaper, the trump adviser for national security Affairs John Bolton was instructed to notify Russia about the preparation for the withdrawal from the INF Treaty during his working trip to Russia. In turn, the newspaper The Guardian reported that, according to her, John Bolton advocated U.S. withdrawal from the INF Treaty and also against the extension of the start-III. Reference: the INF Treaty was signed by the presidents of the USSR and the USA Michael Gorbachev and Ronald Reagan in 1987. It prohibits both sides of the production, testing and deployment of cruise and ballistic missiles, ground-based range from 500 km to 5.5 thousand km, the US and Russia have repeatedly accused each other of violating the Treaty's provisions. The new start Treaty Russia and the United States signed in 2010, but because he joined in 2011. The agreement provides for the reduction of deployed strategic delivery vehicles on each side to 700 and up to 1 thousand 550 nuclear warheads on them. The term of the agreement to ten years, until 2021. Expert magazine The National Interest Charlie Gao compared the Russian carrier-based fighter of the fourth generation su-33 with its Chinese version of J-15. As noted in the article, the Chinese aircraft is very "underdeveloped version of the" su-33. The National Interest writes that Beijing was building its own fighter based on the prototype of the Russian aircraft – T-10K, which had to substantially redesign. The author notes that a significant shortcoming of the J-15 have become the "backward domestic engine WS-10". Advantages of J-15 the author considers the cockpit design and ergonomics of the aircraft. CNN, citing satellite images, reports that Russia is modernizing its military facilities and storage of nuclear weapons in the Kaliningrad region. According to them, modernization is conducted at four military installations. The pictures were taken in the period from July to October. According to the broadcaster, in this time work was also conducted on the 40 bins in the town of Primorsk. In the middle of summer and ten of them were under construction, they are now erected. DPRK leader Kim Jong-UN has refused to give US Secretary of state Mike Pompeo list of nuclear facilities for inspection prior to the signing of the Declaration of the formal termination of the Korean war of 1950-1953, reported Japanese newspaper "Yomiuri", citing unnamed sources. According to her, in response to a request from Pompeo to provide at least a partial list of objects that Kim Jong-UN reportedly said that "in the absence of a trusting relationship, even if the list will be given, USA still obviously won't be able to believe it". Background: in a historic meeting in Singapore on 12 June, Kim Jong-UN and U.S. President Donald trump has agreed to denuclearization and improving relations between the two countries. In particular, the us President promised to seek a speedy termination of a state of war on the Korean Peninsula, which ended only with the signing of the armistice agreement. The Islamic Republic of Iran (IRI) managed to create anti-ship ballistic missile with a strike range of 700 kilometers. This was announced by Brigadier General of the Islamic revolutionary guard Corps (IRGC, part of the armed forces of Iran) Amir Ali Hajizadeh, the Agency Tasnim. Background: According to the General, from the coast of missiles capable of striking ships at a distance of 700 kilometers. However, the General was not informed about the name of the missiles and other details about her failed. China will begin mass production of the attack helicopter Harbin Z-19E, which received the unofficial nickname "Black tornado". It is reported Warspot with reference to the portal airrecognition.com. The AVIC has officially announced that the development phase of work on the completed model. Representatives of AVIC announced that the expert group tested the helicopter and studied the accompanying documentation, and then gave a unanimous positive opinion. Helicopter Harbin Z-19E was developed by Harbin Aircraft Manufacturing company, part of AVIC. The first flight test of the machine was completed in may 2017. For reference: the Helicopter was designed for offensive operations and fight against enemy armored vehicles. Z-19E tandem has an armored cockpit and a range of weapons class "air-surface" and "air-air". Export version of the helicopter received a number of improvements that makes it more quiet and safe to pilot in real combat conditions. According to the developers, Z-19E meets all international standards. The Parliament of the self-proclaimed Republic of Kosovo by a majority of votes supported the transformation of the Kosovo security Force (KSF) into a full-fledged army, informs the edition Gazeta Express. "For the creation of the Ministry of defense voted 101 out of the 102 deputies present," notes on the newspaper's website. Representatives of the party of ethnic minorities, "Serbian list" before the vote, left the meeting room. Reference: self-proclaimed Prime Minister of the Republic of Ramush Haradinaj stated that "America is blessed" the establishment of the Kosovo army to NATO standards. The U.S. Embassy in Pristina said that Washington supports the transformation of the security forces of the breakaway Republic of Kosovo in a professional multi-ethnic army according to NATO standards with a limited mandate of territorial defense. USA gave to Georgia with two patrol boats class "island"; the ceremony took place in the port of Poti. Acting U.S. Ambassador Elizabeth Rud said the new ships "will help Georgia to become a reliable partner in NATO joint Maritime exercises in Black sea". According to her, "Georgia has a complicated neighbourhood, and occupied territory posed a particular challenge in terms of controlling illegal trade." She promised that the United States will continue efforts to strengthen the coast guard of Georgia. Patrol boats class "island" was built for the U.S. Coast guard from 1985 to 1992. It was built 49 boats in this class. In 2014 they began to withdraw from the U.S. Coast guard in connection with the replacement on the construction of new patrol boats such as Sentinel, however, at present, 12 boats still in operation. Derived from the Coast guard and abandoned boats, the United States gradually pass on to their allies. Reference: Boat class "island" in its basic configuration, have a displacement of 168 tons, length - 34 m, width - 6,4 m with a speed of up to 29.5 knots. Team regulations consists of 16 people, including two officers. Of weapons the boat has a 25 mm gun and two machine guns. Boats equipped with radar generic detection AN/SPS-73 and 5.4 m inspection boat, Zodiak Hurricane 540. Official YouTube channel of the armed forces of Germany Bundeswehr, the Bundeswehr reported that receives a miniature crawler robot intelligence system RABE (Roboter zur Aufklärung, Beobachtung und Erkundung im Orts — und Häuserkampf). The defense Ministry of Germany has purchased 44 robotic intelligence system RABE and intends to acquire another 150 such devices production company Endeavour Global. Tracked robot for reconnaissance, surveillance and reconnaissance in urban combat, weighs 2.5 kg, carrying a camera round view and is equipped with a digital communication system with a range of 400 meters. He overcomes the obstacles may be thrown in the window or on the roof. Rugged waterproof case withstands drops from a height of five meters. Reference: RABE can perform their tasks at a temperature of from — 19 to +48 degrees Celsius. The battery capacity allows it to operate for six hours. The newspaper "Sankei" reported that the U.S. and Japan intend to hold next week a new joint test of interceptor missile SM-3 Block 2A, which should be an important component of the regional missile defense system. Shooting will take place in the Hawaiian Islands. Reference: the First test of the SM-3 Block 2A flight range of up to 1 thousand km in February last year was successful. However, subsequent launches in June of last year and January this year failed. If the current tests fail to intercept a training target, the plans to deploy SM-3 Block 2A can be corrected. The latest Russian fighter of the fifth generation su-57 can be turned into an attack drone. About this "Russian newspaper" said the Chairman of the Federation Council Committee on defense and security, Colonel-General Viktor Bondarev. According to him, su-57 has huge potential for modernization. The basis of the avionics equipment of the aircraft is based on the principle of open architecture. Reference: multi-purpose fighter su-57 — super maneuverable machine designed to destroy all types of aircraft both in melee and at range. He is capable of hitting ground and sea targets of the enemy in the face of opposition of air defense systems, to perform aerial reconnaissance and damage control system of enemy aircraft. The development of airindependent power plant for the newest non-nuclear submarines is going to land prototypes, but soon will appear and the sea, told RIA Novosti President of the United shipbuilding Corporation (USC) Alexey Rakhmanov. Work on the project of CDB "ruby", "malachite" and Krylov state research center. Parallel to studying its efficiency, added the Agency interlocutor. Installation testing must be completed before the end of 2021. The main advantage of air-independent (anaerobic) power plant — increasing the stealth of the submarine. The submarine can stay under water without surfacing to charge the batteries. Anaerobic installing Russian design is fundamentally different from overseas: it has the production of hydrogen by processing diesel fuel. Foreign submarine download their reserves of hydrogen on Board. Reference: the Submarine of the project "Kalina" will be able to stay under water for up to two weeks without surfacing to charge the batteries while its counterparts of project 636 and 877 "Varshavyanka" forced to emerge daily. The Federal air transport Agency has issued the type certificate for the new Russian PD-14 engine for passenger aircraft MS-21, said the press service of the Ministry of industry and trade of the Russian Federation. The development and production of the power plant does United engine Corporation (UEC). It is expected that by the end of 2018 will be produced and delivered to the Corporation "Irkut" (the developer and manufacturer of MS-21 aircraft) three series of PD-14 engine. Reference: PD-14 Engine intended for prospective family of medium-haul aircraft MS-21 (150-220 seats). In comparison with analogues, in operation the declared parameters of the engine and to reduce specific fuel consumption in cruise mode by 15%. The construction of the first nuclear icebreaker "Leader" will cost the budget of 98.6 billion roubles, writes "Kommersant" citing its sources. The contract for the construction of "Leader" is scheduled to conclude with the shipyard "Zvezda" not later than December 2019; work should begin in 2020 and be completed by 2027; all necessary funds will be allocated from the budget. According to "Kommersant", September 11 the plan was backed by the President of the Russian Federation. It is reported that since the budget the funding will be allocated only in 2020, 3.5 billion roubles for the zero phase of a "Leader" will give "Rosneft"; this is done in order to keep up with the schedule. Later the amount of the advance, the company will reimburse from the budget. Reference: All the "Star" is going to build three nuclear-powered icebreaker, source of funding for the second and the third vessel has not yet been determined. Military unit combining air force and air defense of the Eastern military district, stationed in the Khabarovsk region has completed the re-equipment of anti-aircraft missile system (AAMS), a new generation s-400. Previously, the gunners have mastered a new technique on one of the specialized landfills in the Western part of Russia, where he studied tactical and technical characteristics and the material of the AAMS, as well as completed training (electronic) and practical rocket launches. Today in several Eastern military district anti-aircraft missile military units re-armed on s-400. Reference: anti-aircraft system s-400 is designed to defeat all modern and promising means of aerospace attack, in particular, different types of aircraft, tactical, operatively-tactical ballistic missiles, hypersonic targets, jammers. The new unified command and staff vehicles (CSV) P-149МА1 designed to control the troops in the field, entered service control connection of the 58th combined arms army of the southern military district, stationed in North Ossetia. Reference: From the beginning, the armed forces of the southern military district received more than 500 units of new and upgraded equipment. Security weapons and equipment of the troops of the district is more than 98 percent, with about 65 percent of modern designs. Aerospace forces this year got 3 anti-aircraft missile system s-400 "Triumph" for delivery in air defence units of the military districts. In the near future is expected to supply another regimental set of the complex, as well as 3 divisional set zrpk "Carapace-S", supplied under the state defence order-2018. Background: up To the end of the year the share of modern weapons and military equipment anti-aircraft missile troops HQs will be about 70 percent. Central military district were armed for defense procurement of two multi-purpose fighter su-34. Aircraft equipment adopted at the Novosibirsk aircraft plant, now made its transfer to the Lipetsk center for training of aviation personnel and military trials of the defense Ministry. There pilots will be retrained on the new type of technology. Based su-34 will be at a military airfield shagol in the Chelyabinsk region. Earlier it was reported that this year the Central military district for the first time were armed with ten bombers su-34. Thus, the Chelyabinsk pilots currently on the state defense order received 12 units of this aircraft. Reference: su-34 is designed to engage both ground and air enemy targets day and night under any weather conditions. Used in an aircraft guided weapons class "air-surface" and "air-air". The flight range of su-34 to 4 thousand km, maximum speed – 1900 km/h, combat load up to 8 tons. The noise level of the su-34 is two times lower than predecessors. Guards tank army of the Western military district received the latest weapons in the satellite "SNARK" and "the Rook". Satellite station "SNARK" allows to arrange access to the satellite network Ku-band almost in any point of Russia. Immediately after deployment, and guidance you can connect to the Internet or corporate network, to receive and transmit data, organize audio and video conferencing, to carry out the streaming. Reference: R-444-Fri Ladya provide a noise free telephone and video-conferencing, data transfer speeds up to 256 Kbps and packet exchange in IP networks. The weight of the R-444-Fri only 28 kg. It consists of a container, a suitcase with a foldable parabolic dish, another smaller container, remote control, touch screen and headset. Due to this station can operate at the tactical level. The previous generation system had to be installed on truck chassis. Time of Autonomous work stations is not less than 2.5 hours in continuous mode. The Park of military equipment of the 2nd guards combined arms army of the CVO in the Volga region made up 49 per cent over the last 8 years, only in 2018 the army under a state defense order received more than 200 pieces of equipment. This was reported by the commander of the Union General-major Rustam Muradov. Connections and military units of the army have significantly upgraded their equipment. Missile brigades rearmed on the PTRC "Iskander-M" peacekeeping brigade equipped with the new armored personnel carriers BTR-82АМ, in the army, given the Syrian experience has a new engineering, mortar, light and heavy infantry units. Only in 2018, the Association received more than 200 pieces of equipment. It's BTR-82A, armored command and staff vehicles R-149АКШ, infantry fighting vehicles BMP-2M, repair and recovery vehicle REM-KL, vehicles Mustang mobile digital radio relay station R-419Л1, towed howitzer 2A65 "Msta-B" pickups. For reference: Till the end of this year to more than 40 units of military and special equipment, including cars, armored vehicles and missile and artillery weapons. Troops of the Central military district (CVO) fully equipped tanks. In service with the County is more than 3.7 thousand units of armored vehicles. For 2018, the troops of the CVO is planned to deliver more than 400 units of modern equipment. Over the past five years in the military units of the CVO received more than 1000 digital means of communication of the sixth generation. This was announced by acting chief of communications – Deputy chief of staff of the AOC at the Lieutenant Colonel Victor Didenko. This year there have been 148 samples of modern small satellite communication stations and automated control systems, such as R-444-STP, R-438М, P-187-P-1 "Passion", which is currently used in reconnaissance units and special forces. Reference: This equipment is designed for networking satellite communication systems in the interests of parts and units operating in isolation from the main forces through a repeater connection of the spacecraft. Data transfer rate is 1200 or 2400 bits/sec. The advantages of satellite communication is a large range of stable relationships, including in areas with difficult terrain, regardless of weather conditions, time of day and year, as well as high resizewindow. The Russian military communications system that allows two to three times faster to manage the troops, said the chief of communications — Deputy chief of the General staff of the army liaison Alexander Gargas. The decision on the supply of connections of Land forces under the state program of armaments and state defense order modern command and staff vehicles, integrated communication complexes of communication and automation, and means of destruction, equipped with modern program-technical complexes, which allow to build a control system, functioning in a single information space. In recent years, studies have shown that new models of weapons, military and special equipment of communication allow you to "increase the management efficiency unit in the army in the preparation and during the fight two to three times. Reference: In 2019, the scheduled communications the four stages of the competition field training "Confident reception", and "one of the priority directions of improvement of training of specialists will be a competitive rivalry competition". The troops of the southern military district (SMD) received more than 50 units of the latest models of equipment of communication, created with the use of modern and advanced technologies. This technique has equipped military units and units of the southern military district, stationed in North Ossetia, Chechnya, Stavropol and Krasnodar regions, and also in the Astrakhan and Rostov regions. Modern designs allow you to create a communication field mobile control centres and a network of digital field communication system. Thanks to the latest digital technologies, communication technology allows us to provide a full range of information and communication services, and to create a common transport medium, are integrated into a single control system at the scale of the Armed Forces of the Russian Federation. Protection of information passing through communications, provides digital automated security system connection. Received by the troops YUVO samples of communication equipment, including command and staff vehicles (CSV) on the basis of the armored car "Tiger" P-230Т, on the basis of KAMAZ R-149АКШ-1, station-satellite (space) communication R-441-LM and hardware R-438Н will replace the telephone and Telegraph hardware, and also stations of radio relay communication. According to the data transfer speed, they are superior to the communication technology of the previous generation dozens of times and interact with all the data exchange systems of previous generations. Background: Until the end of 2018 re-equipment of troops of a military district the new technology of communication will continue. Just this year, in the framework of the integrated programme of re-equipping troops YUVO digital communications in connections and military units received about 100 units of modern means of communication. Long-range anti-aircraft guided missile 40N6 s-400 "Triumph" adopted by the Russian army. It is reported TASS citing a source in the military-industrial complex of the Russian Federation. "Long-range missile 40N6 (40Н6Е - export version) is adopted, all necessary documents signed in September, followed by procurement of these missiles by the Ministry of defence," - said the Agency interlocutor. "Only in the framework of the state armament programme until 2027 is planned to purchase more than a thousand 40N6 to equip them to form and re-equipment of the existing regiments of s-400 Air and space forces," the source added, Recalling that in the framework of this programme in SCD should be formed 56 divisions With-400. In July, another source in the Russian "defense industry" reported to the Agency on successful completion of state joint tests of 40N6 missiles. Reference: 40N6 - anti-aircraft guided missile extra range, designed to destroy AWACS aircraft and electronic warfare, airborne command post, strategic bombers, hypersonic cruise missiles and ballistic missiles. According to official data, the range is up to 380 km for aerodynamic purposes and to 15 km for ballistic height from 10 m to 35 km, the Average speed of 1190 m/s. with the new seeker she can destroy aircraft outside the coverage of ground-based radars. 19 Oct soldiers mountain connection of the southern military district (JUVO), stationed in Karachay-Cherkessia, people started to make a 500-kilometer March to the composition of convoys in area of departure to participate in the joint Russian-Pakistani military exercises "Friendship-2018" in the mountainous area of the Islamic Republic of Pakistan. Shipping military in Pakistan planned aircraft military transport aircraft Il-76. In international doctrine involved more than 70 members of the SMD. To the place of the doctrine they follow with their regular small weapons and ammunition, mountain equipment and complete equipment. On the teaching of the troops of the two countries will exchange military experience, and work interaction in the performance of combat training tasks within the framework of conducting conventional combat operations in mountainous terrain, in particular, to eliminate illegal armed groups. The joint exercises are aimed at strengthening and developing military cooperation between the two countries. Opening ceremony of joint Russian-Pakistani military exercises "Friendship-2018" is scheduled for October 22 in the settlement of Carat. The doctrine aimed at strengthening and developing military cooperation between the two countries shall be conducted in accordance with the plan of international military cooperation and will run until 4 November. Reference: Joint Russian-Pakistani military exercises "Friendship" is held in 2016, in which the Armed Forces participate soldiers of the mountain infantry brigade of the southern military district, stationed in Karachay-Cherkessia. In addition, the first joint military exercise in Pakistan, and last year on the territory of the southern military district, in a mountainous area in Karachay-Cherkessia. The engineers of the Central hydrodynamic Institute (TSAGI) n. a. N. E. Zhukovsky completed the first phase of testing of helicopter rotor VRT500. As the press service of the company, the tests were conducted in conjunction with the developers of the new machine from the company "VR-Technologies" of the holding "Russian Helicopters" rostec state Corporation. During the tests were confirmed with the required levels of efficiency and traction. Also, scientists have received the required reserves on flutter — a dangerous combination of the two-phase oscillations with increasing amplitude. It is noted that the study confirmed the correctness of the chosen aerodynamic configuration. The study results will be used in the design of the helicopter in General, and the clarification of its flight performance. Reference: VRT500 — light helicopter with a single engine and coaxial arrangement of screws. Takeoff weight is 1,600 kg. the helicopter has the most voluminous in its class passenger cabin with a total capacity of 5 persons and is equipped with a modern range of interactive avionics. Russia gave Mongolia military-technical equipment of more than $ 13 million. The transmission of the Mongolian side of the property as part of rendering military-technical assistance "is certainly a landmark event in the bilateral relations", said at the ceremony in Ulan Bator, the Russian defense Minister, army General Sergei Shoigu. "I am convinced that ground-based airfield services for General use will expand the ability of the Mongolian Armed forces and, in particular, the national Air forces", – he said. According to Sergei Shoigu, the Russian side expressed readiness to further develop bilateral relations and strengthen bilateral confidential dialogue. On behalf of the military Department and of the Mongol army of Damagin Enkhbold thanked Sergei Shoigu gratitude. According to the Mongolian warlord, with the receipt of property from the Russian military airfield Nalaikh is able to take new types of aircraft and conduct ground handling. Annually on 20 October in the Russian army Day is celebrated military communications — the professional holiday of workers and soldiers corps, established by presidential decree of may 31, 2006 № 549 the purpose of revival and development of domestic military traditions, increase of prestige of military service and in recognition of military experts in solving problems of ensuring defense and security of the state. 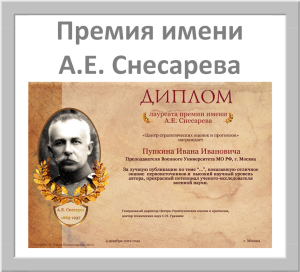 Previously, he was celebrated as the Day of the Armed Forces of Russia. October 20, 1919 — the day of formation of the signal corps. On this day, by order of the revolutionary military Council of the Soviet Republic No. 1736/362 in the composition of the Field staff was formed by the office of communications, headed by the chief of communications. Service connection is highlighted in a special service staffs and troops of communication — in independent special troops. Thus was laid the structure of modern communication troops. Today, the communications Service of the Navy is a structural unit of the Main staff of the Navy, the main efforts are concentrated on maintaining communication systems of the Navy and are prepared for management by the Navy in various conditions of environment and increase of level of preparation of military units (divisions) when solving tasks. Features of the communication system of the Navy is its global reach, the ability to bring information to naval forces, solving the problems in remote areas of the World ocean, including those located in deeply submerged condition. Currently, the communication system of the Navy is a modern organizational-technical Association, which includes powerful Sverdlovskoye radio, distant transmitting and receiving two-way radio, satellite communication facilities, automated control systems and weapons, integrated communication systems for surface ships and submarines. For use and operation of modern systems and means of communication in the system of educational institutions of higher education, the Navy has developed and successfully operated research Institute and the Department of communication. Training of specialists and automated control systems is carried out in the branch VUNTS Navy "naval Academy" in the city of Kaliningrad, in the naval Polytechnic Institute VUNTS Navy "naval Academy" in the city of Peterhof and the Pacific higher naval school in Vladivostok. Training of future officers and warrant officers when the Navy is on the educational and material basis, continuously modernized and improve. Receipt in educational institutions of higher education of the Navy qualified education opens up possibilities to precisely navigate in InfoComm technology and allows to realize themselves in one of the most intensive types of the Russian Armed Forces – the Navy.